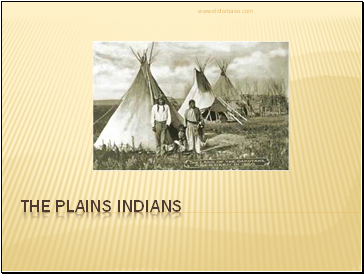 The Plains Indians lived in the middle region of the United States. 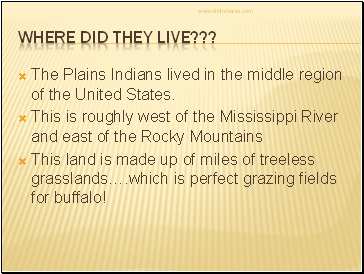 This land is made up of miles of treeless grasslands….which is perfect grazing fields for buffalo! 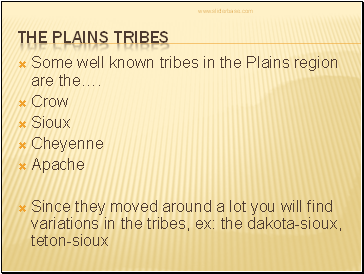 Some well known tribes in the Plains region are the…. 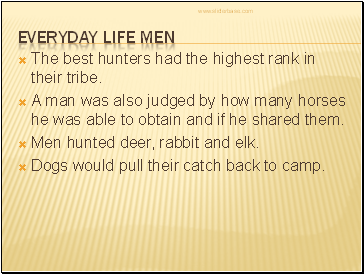 The best hunters had the highest rank in their tribe. 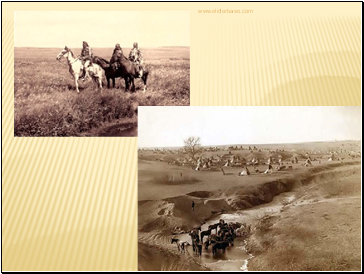 A man was also judged by how many horses he was able to obtain and if he shared them. 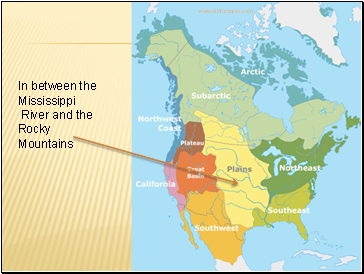 Men hunted deer, rabbit and elk. Dogs would pull their catch back to camp. 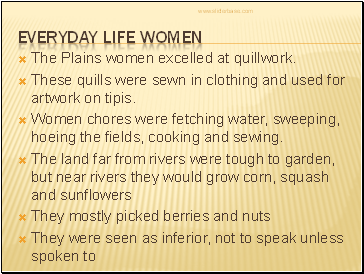 The Plains women excelled at quillwork. 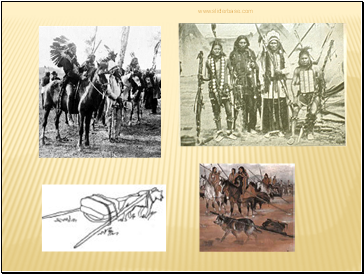 These quills were sewn in clothing and used for artwork on tipis. 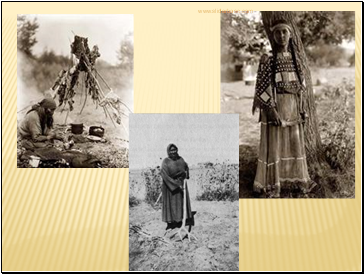 Women chores were fetching water, sweeping, hoeing the fields, cooking and sewing. Babies were taught at a very young age not to cry because it might scare off the food. At four years old the girls would accompany their mother with her chores and the boys would listen to war stories and practice their bow and arrows. 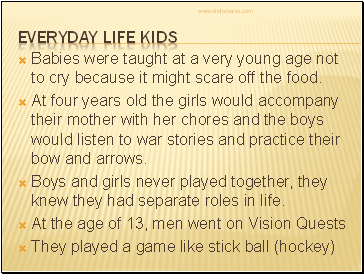 Boys and girls never played together, they knew they had separate roles in life. What do they live in?